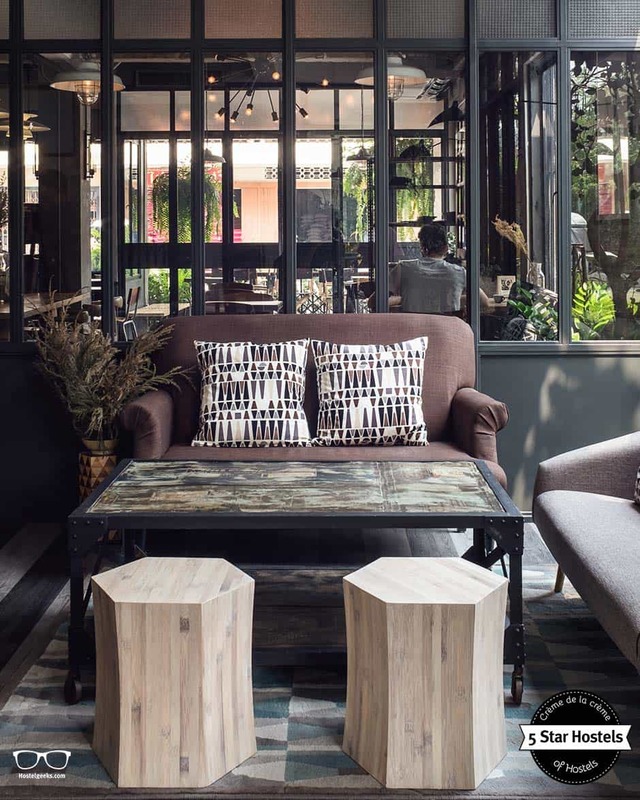 Chic Hostel meets stylish Café; Welcome to Oxotel Hostel, located in the North of Thailand. Although the hostel‘s name „Oxotel“ may indicate the accommodation is a hotel, don’t be fooled. 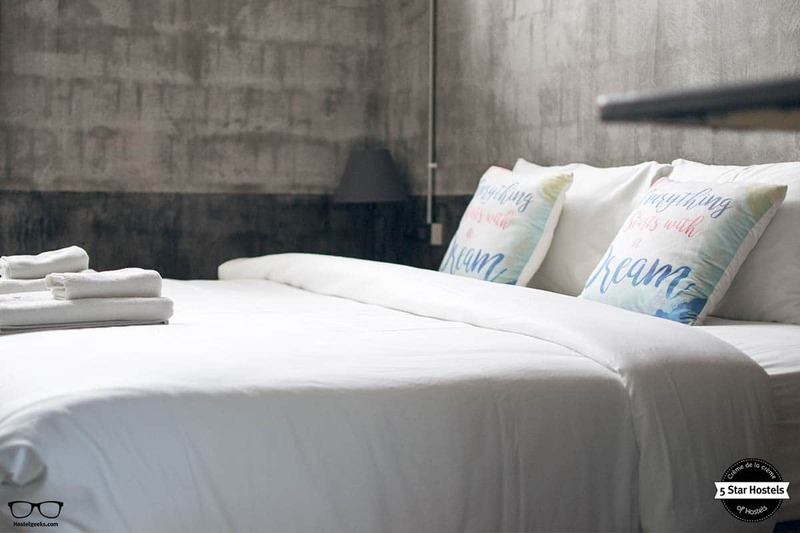 The Oxotel Chiang Mai is a 5 Star Hostel, ticking all the boxes of the transparent criteria of being a 5 Star Hostel. 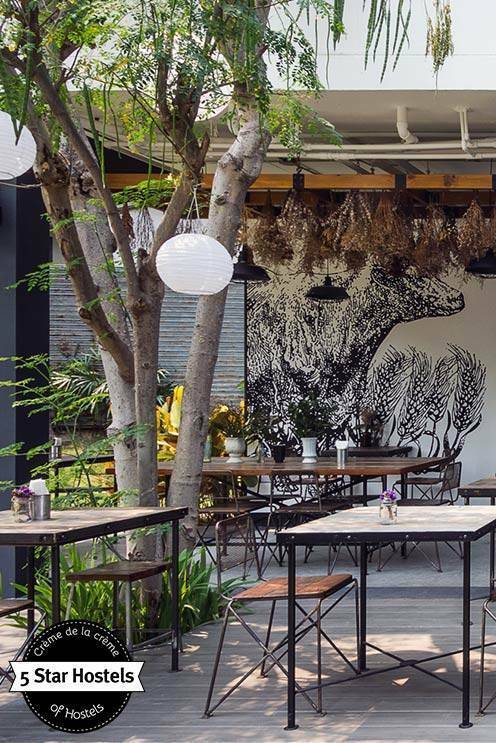 You just found our #1 recommendation for best hostels in Chiang Mai, Thailand. Genuinely, Oxotel is the accommodation we recommend to our friends, family, and to you! You will like it! Planning to stay at Oxotel? Please use the links provided above. The location is perfect for Chiang Mai, as you are surrounded by beautiful temples, lots of street food, and ambiance. 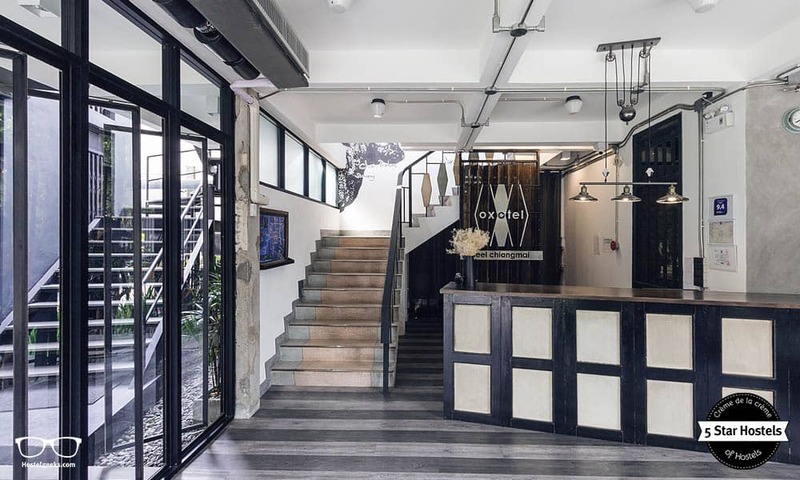 Oxotel is located on “Wualai road”, where the local experience on 'Walking Street Market' every Saturday is. Check out as well this Chiang Mai Street Food Guide, a great summary of the street food scene including videos. 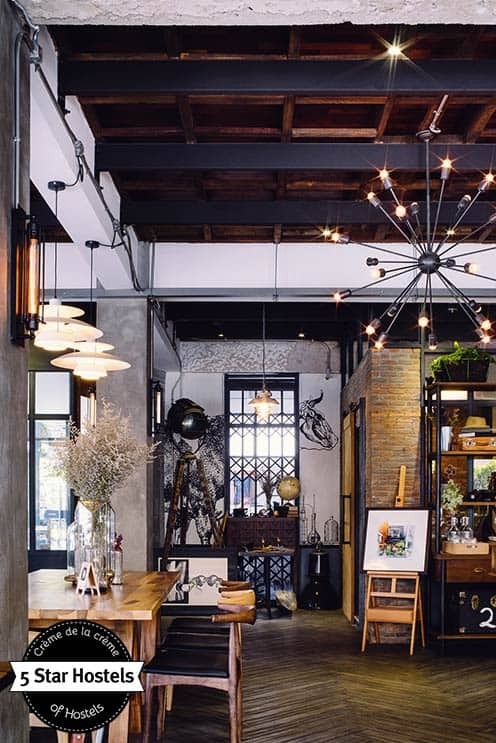 It is also in the historic area of the Chiang Mai silver cluster artisan. Around the hostel, there are so many local jewelries and silver shops. Our highlight? The authentic street food market, just a 3 minutes walk left of the hostel. You can eat here delicious local food for as little as 35Baht aka. 1$.It is super tasty! The hostel is very close to Chiang Mai international airport and only a 10 minutes walk to the city center. Chiang Mai is also a perfect base to travel to Chiang Rai, Pai, and to take bike tours around North Thailand to Mae Hong Son Loop. Here is a handy guide for staying in Pai. We at Hostelgeeks collect and award 5 Star Hostels all over the world. For each destination, we only pick the one stunning hostel you can fall in love with. 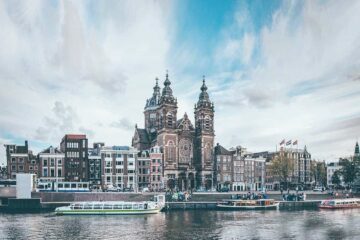 Find all official 5 Star Hostels here. As for Chiang Mai and Oxotel, we unpacked our magnifying glass. 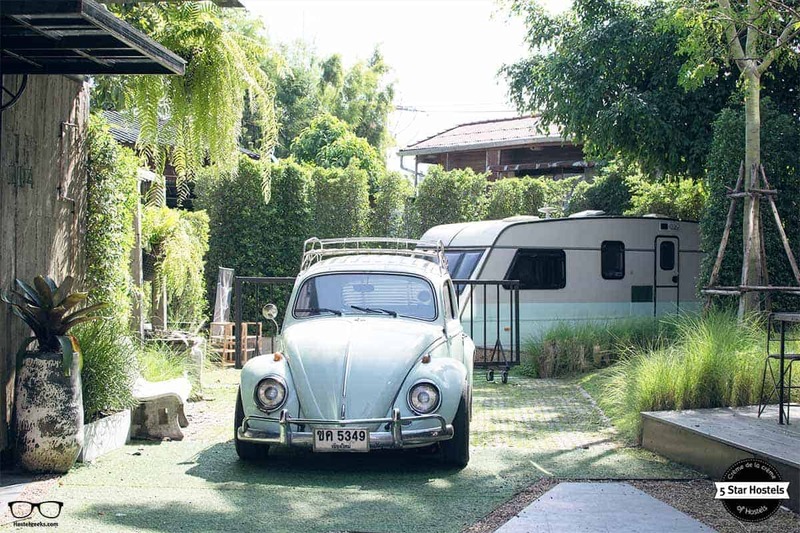 We discovered a marvelous design-conscious accommodation, vintage Volkswagen, and lots of life. There is even a vintage scooter! 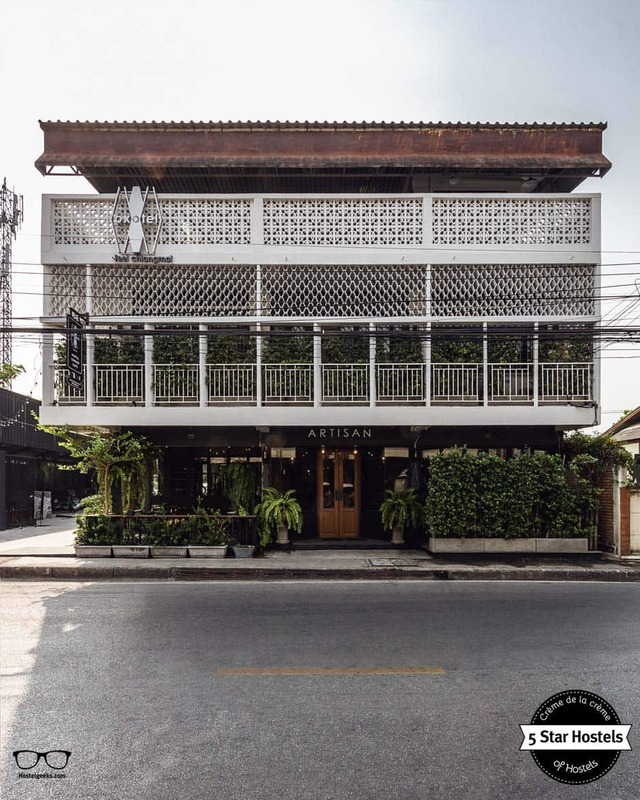 Everything in and around a typical Thai-building, renovated from toe to top. Update: read our huge guide 3 BEST hostels in Chiang Mai, Thailand. Here is our complete guide to best hostels in Thailand. We included Party Hostels and great hostels for solo-travellers. It covers so many things to do, activities and insights. Besides hostels, we love a good cup of coffee. 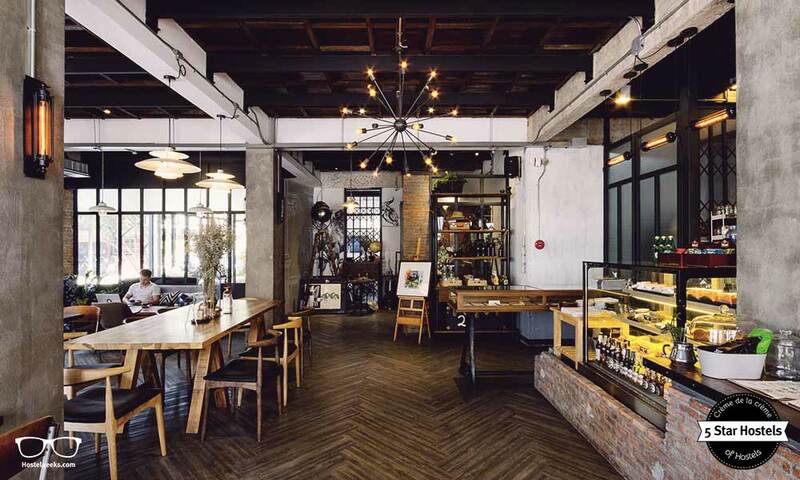 So before we start walking around Oxotel, we should get one in the stylish Artisan coffee place downstairs. Let‘s take off our shoes, put on our slippers and have a close look. 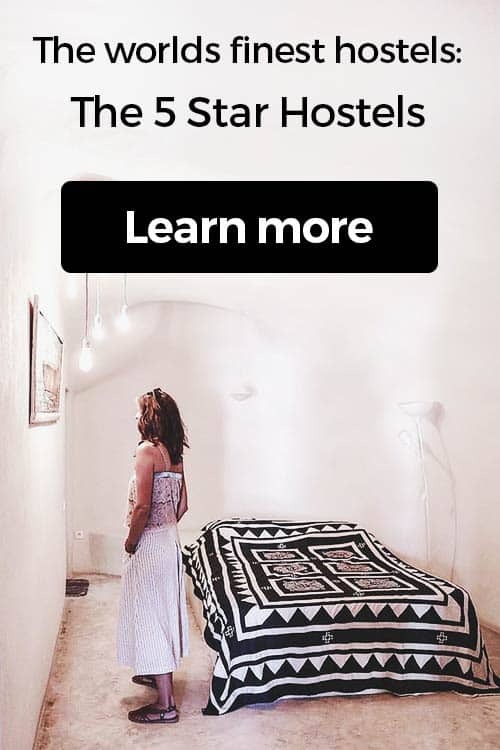 Why is Oxotel a 5 Star Hostel? The owner of Oxotel Mr. Wisitsak Suriyasri, (nicknamed Tock) traveled around Asia, Russia, and Australia. During his travels he so enjoyed his hostel experiences. During different trips, he spent quite some time in several hostels. 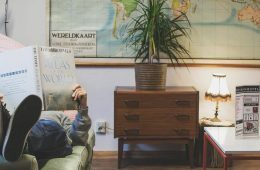 The sharing culture of a hostel such as exchanging information for next destination and travels, making new friends, respecting room mates and a property, which is always full with backpackers, impressed him. 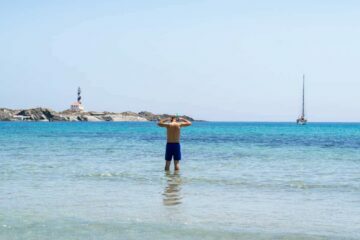 He felt that these things combined always makes you feel fresh and full of energy. 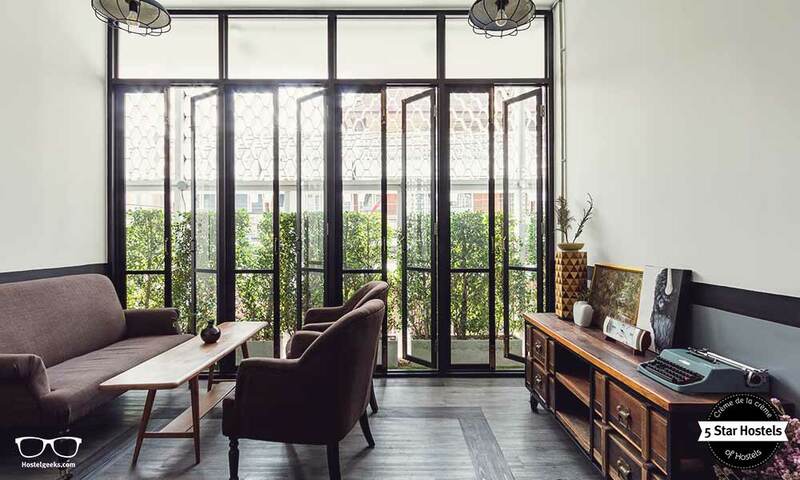 That is the reason Tock and his team have created the first boutique hostel in Chiang Mai, his home town and the main tourist city of Thailand. They were looking for a building and found an old 3-store thai building that had the perfect conditions. The building was completely renovated. While renovating, they also created a lovely, green oasis behind the hostel. Here you will find a cool, hipsterish caravan, which is originated from Europe. The caravan was renovated from zero to hero. 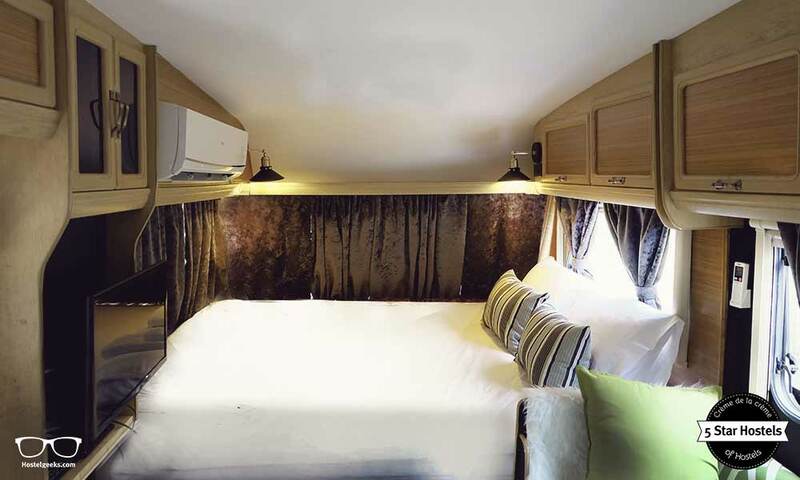 Now, you can actually book this very caravan as well; It is a double room with a stylish interior design and ensuite bathroom. 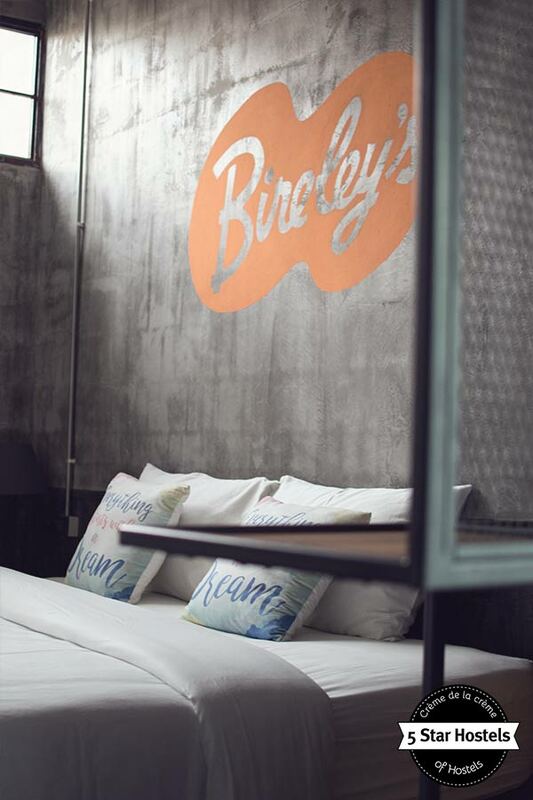 Caravan or dorm, you will stay in a stylish hostel room at Oxotel, whatever your choice is. For the concept of sustainability, Oxotel brought some part of expanded metal doors that they removed from front doors in many parts of the building skin. 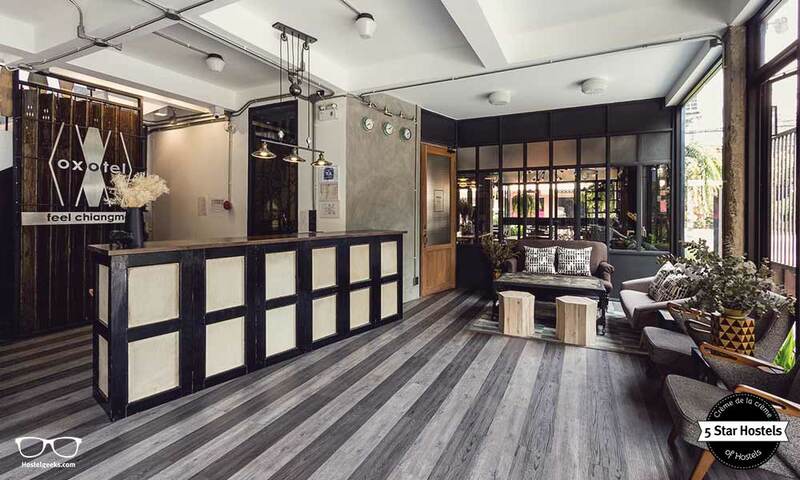 Wood, steel and concrete are the main materials combined with contemporary style, and the loose furniture create a boutique hostel experience. When walking to Reception, you will notice the big Oxotel logo covering the wall behind. 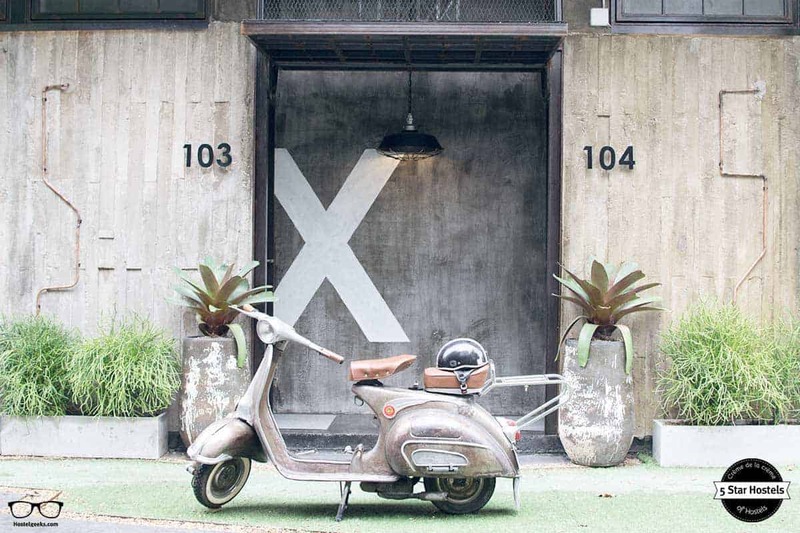 The X was simply taken from the staircase and modernized into a cool hostel logo. You see, the logo which looks like customize design, is also an upcycled piece of material. 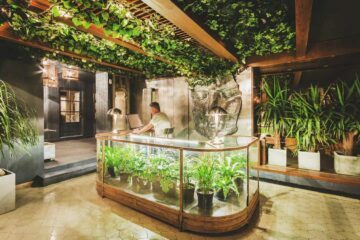 We collected 13 hostel design ideas you can steal from the 5 Star Hostels! 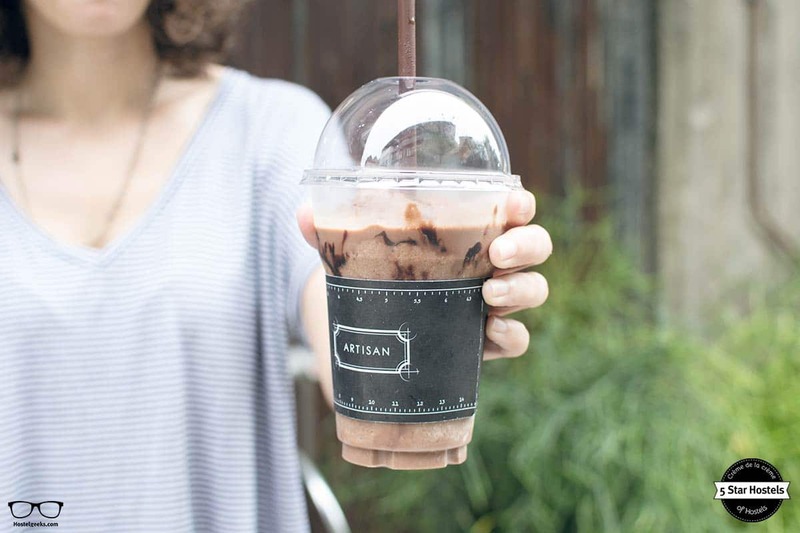 The Oxotel Chiang Mai is also known for its trendy coffee shop called „Artisan Café“. 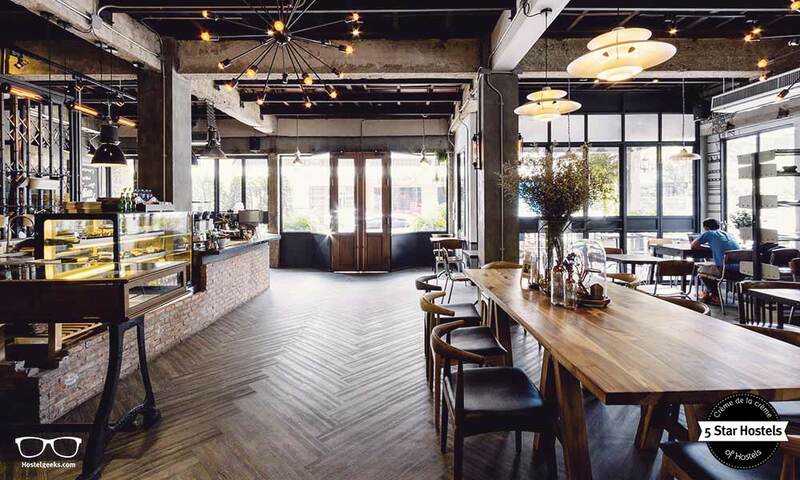 The café in an industrial design is open for everybody. It is the perfect spot for digital nomads, serving Bagels, Thai food, muffins, croissants, and cake. We took this photo below in the coffee shop. It’s loaded with cool quotes. At the Artisan Café you can buy handmade postcards by local artists. 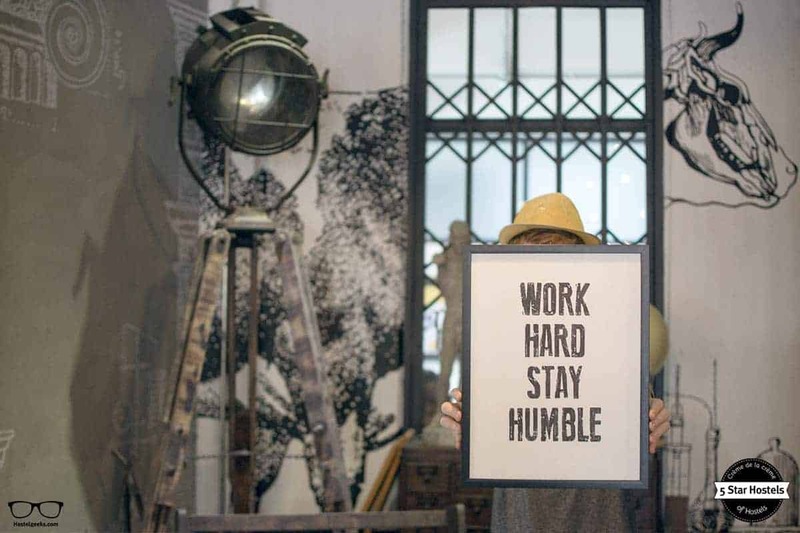 You can turn old school, writing your fellas back home a card, and support local artists in Chiang Mai. A sweet combo. 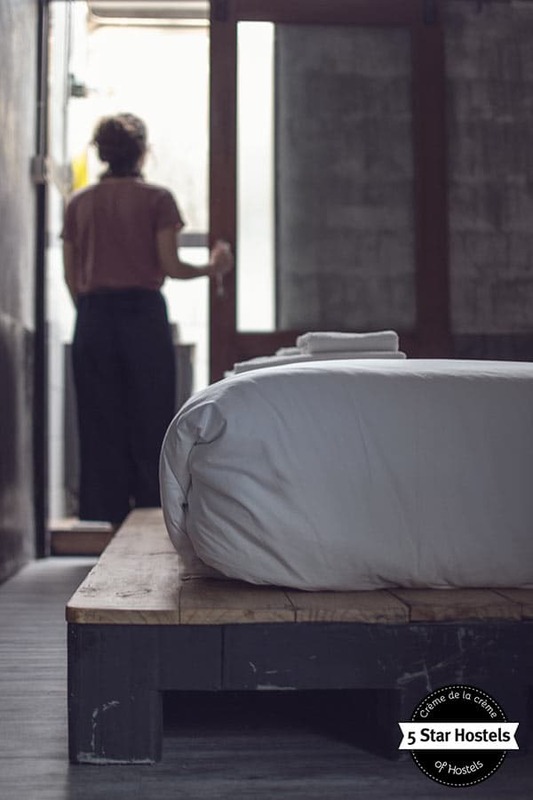 Read: 28 boutique hostels around the world. 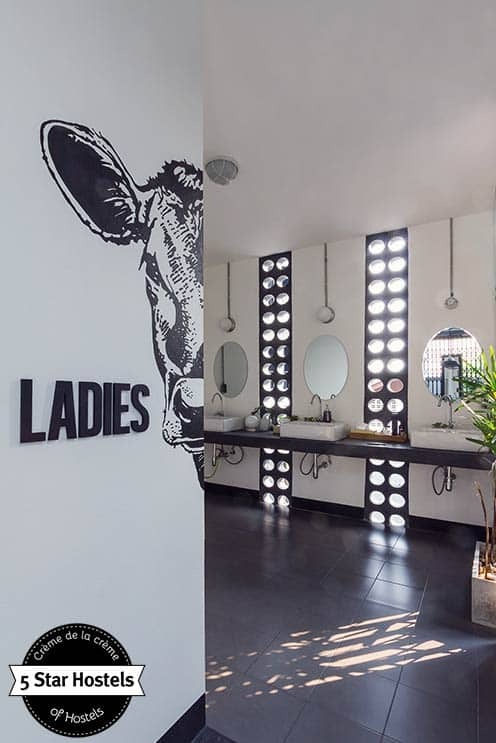 The hostels design speaks for itself. Have a look around all the amazing corners, details, materials, elements, … if you are only interested in the hostel design of Oxotel, well, we get it. Keep scrolling, and be impressed by the photos alone. 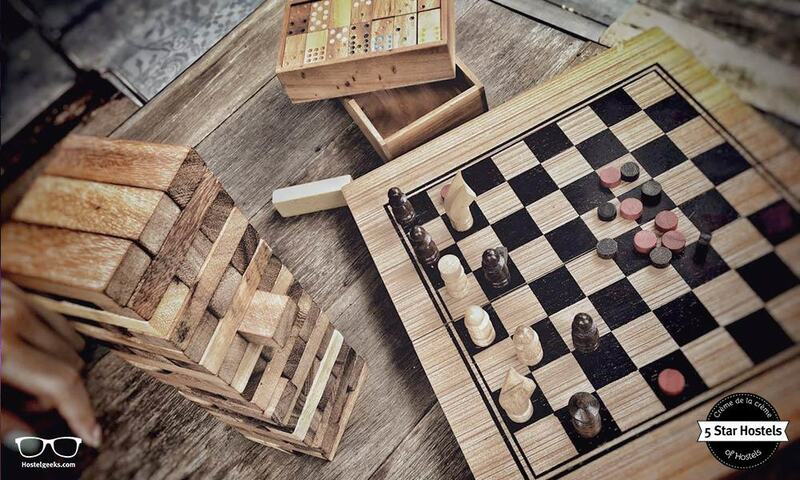 The Oxotel plays with old teak wood and iron material in the hostel, putting it in the industrial vibe. Oxotel is renovated from an abandoned shop-house from the 70’s. It is located in the cultural area of silver cluster artisan near the old city. 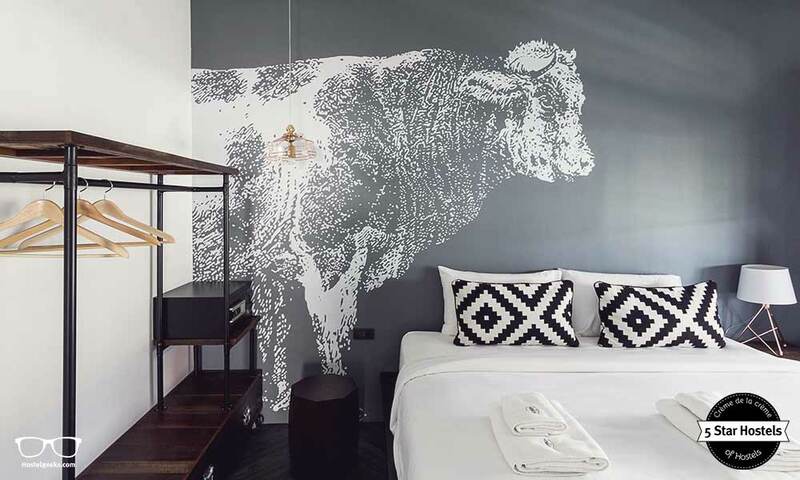 Oxotel’s design boasts some vintage decorative elements such as vent blocks, vintage panels, expanded metal doors and old style stair railing. Pooritat Kunurat, one of the Co-Founders, is the lead designer and did well to maintain the elements. He only took the structure of the building, and built up from scratch this 5 Star Hostel in Chiang Mai. 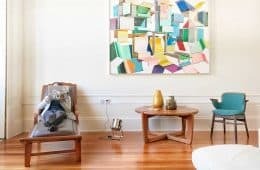 The upcycled elements are original witnesses of the past, bringing the identity of a vintage building to an outstanding hostel in a respected context area. The Oxotel opened its doors back in November 2015. In summer 2016, as they needed more rooms to accommodate the guests, they decided to convert the garage are into vintage private rooms with ensuite bathroom. Do you want to learn more about the different room and dorm types? 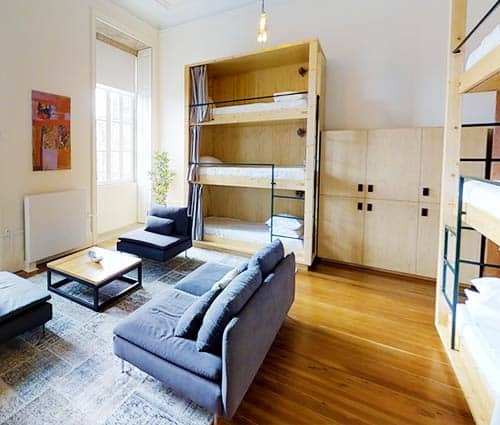 Our article about hostel room types will help you out with understanding the differences. 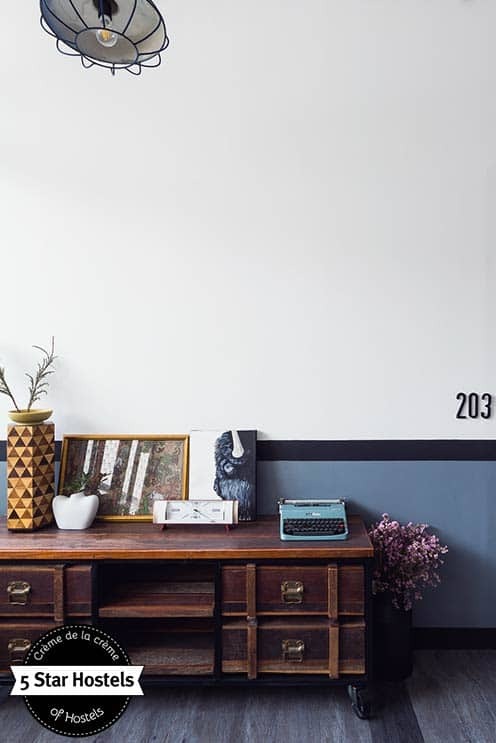 This fabulous design with cosy vibes could be the first thing popping into your mind, right? No doubt – it is what creates the character of this hostel. The Hostel carefully brought the building back to life! 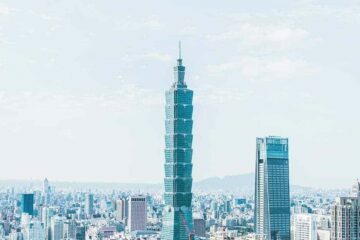 It was crucial to maintain the connection between the area and neighbors, and thankfully the hostel has not created any sour feelings with the locals and the neighborhood. 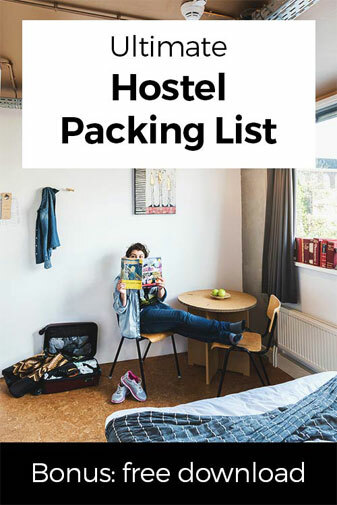 Have a look at our hostel packing list, covering 23 basics you need to throw into your luggage. When designing the hostel, the owners kept many vintage elements especially the hexagon geometry pattern of railings. Well, you’ve already seen it in the photos. These elements have been integrated into their logo design and to the garden floor pattern. Actually, before renovating the building, the ground floor (reception, chill out zone and café) was one long space that lacked of light. Aiming for an open-space concept, they created a full frame glass wall in the lobby area. It brings sunlight and allows for natural ventilation of the hostel. The wall panels were removed and a semi-outdoor space was created for the existing building. This gave them the chance to build an accessible bathroom, connected with a small cover way that lets in the natural light. 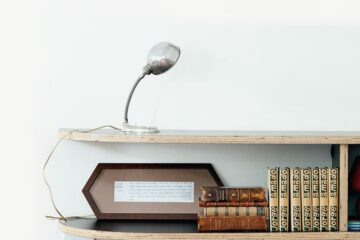 During daytime, you don’t need to turn on electric lamps for lighting. 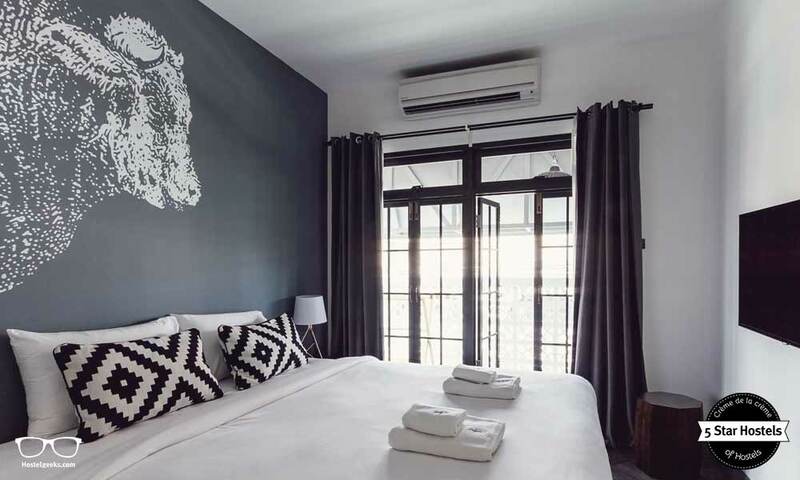 Alongside the advantages for Chiang Mai’s architecture and sustainable design, Oxotel is an awesome place for all travelers who would like to live like a local. Most of Chiang Mai citizens live slowly, enjoy music and love coffee. Guess what? 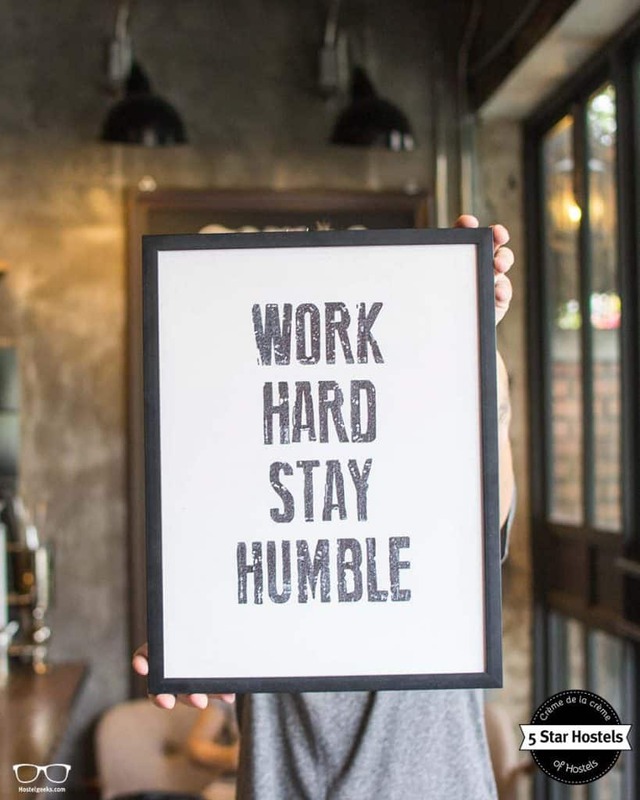 So does Oxotel. We live our life with unique style and prefer traveling with fun. Last but not least, a big part of Oxotel’s identity is the garden and landscape design that they ensured to be easy to use and maintain. OPEN – on so many levels! There are endless common areas to chill, mingle, drink coffee, and work. Oxotel Chiang Mai provides common areas basically on every one of the three floors. Also the ground floor terrace is a place to enjoy a healthy breakfast. This is where the travelers can have a seat and chat to share their social experience. 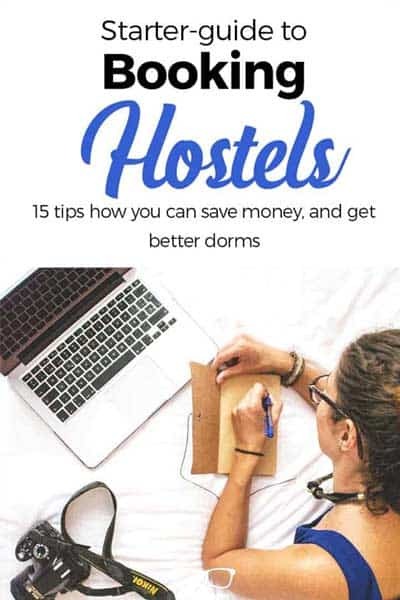 Here is a list of 46 things that make hostels awesome. We at Hostelgeeks love coffee. And design. Therefore, naturally, we also recommend another one part of the hostel. The “Artisan Cafe” where you can have a very delicious coffee; Ristretto/ Doppio, Picolo Latte, fresh shakes, etc. The coffee shop is open to the public and here they serve delightful food such as Breakfast Eggs Benedict, Salad, Sandwiches, Pasta and fabulously sweet Dessert. If you have a sweet tooth, this is your spot! We also found this handy guide to get an idea of the different Chiang Mai travel costs. It includes costs for massages, transport, tours and activities, and more. In a nutshell, the atmosphere is super cosy. Thanks to the open-concept design, the building has so much air and light to breathe in, it influences the overall vibe. Keep an open-mind, start chatting; You will most likely end up making good friends. It is also very common for the travelers to head towards the city and book tours together. This is something the Oxotel Chiang Mai is encouraging. So much design, so much character. But after all, a 5 Star Hostel depends on its fabulous staff, for they are the face and the smile of the hostel. It is the last criteria of a 5 Star Hostel, and we at Hostelgeeks always have a close look here as well. And. You. Will. Love. It! The team at Oxotel are all local Chiang Mai citizens offering a lovely Northern style traditional warm welcoming. 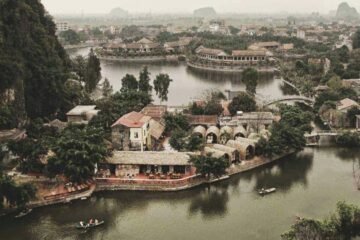 Surrounded by many ancient temples and culture, the Oxotel Team is delighted to help you to find many of the amazing tourist attraction places. They help you out by finding the sightseeing and tours you are interested in. Still not sure? Check out this video of Your Stubborn Goat. 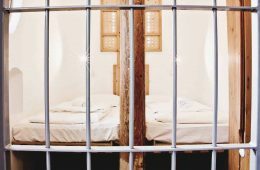 It was her first hostel experience – and she loved it! You can find 22 more awesome hostel videos with us. And it is not only the tourist information that they share. They also organize small walking tours run by the hostel staff. There is no fixed schedule yet, and this usually depends on the amount of requests. Just ask at the reception, and they will announce a possible free walking tour on the blackboard. Remember, besides this outstanding accommodation, we have discovered more unique quality hostels in Thailand. 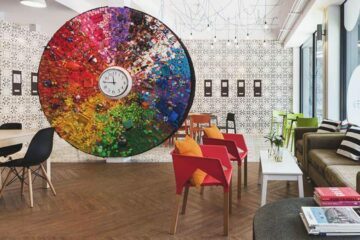 Oxotel is one of the coolest hostels in the city. 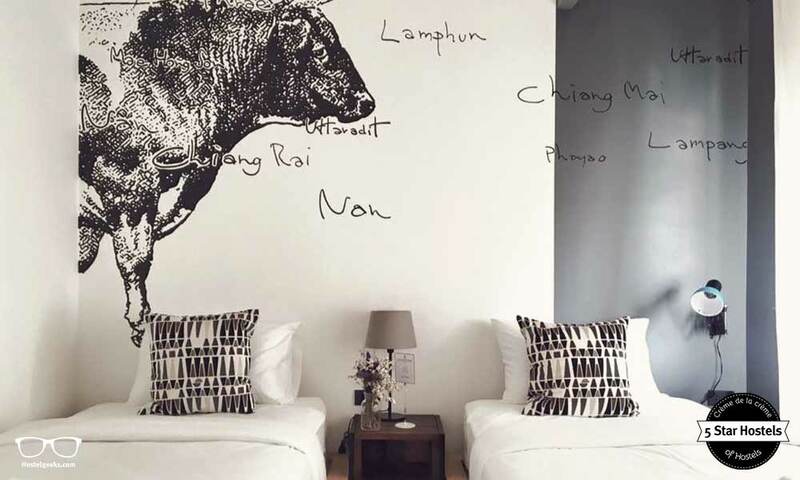 Here you find the complete guide to the best hostels in Chiang Mai. 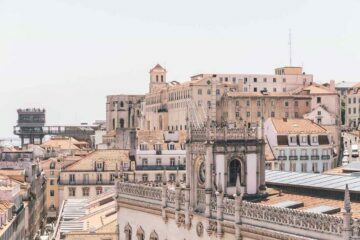 Fancy a promo code for Oxotel? Who doesn't?! 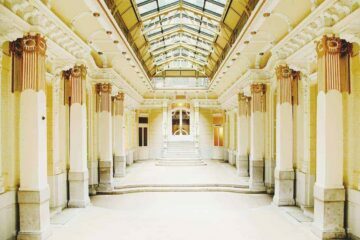 Now, there is no easy way to say this: Currently we do not have a valid discount for Oxotel. We are working on getting more promotional codes for Oxotel in Chiang Mai, Thailand and all the other top hostels we reviewed for you. You were looking for the absolute BEST hostels in Chiang Mai, Thailand? You just found it! Oxotel is the top place we recommend to our friends, family and to you! 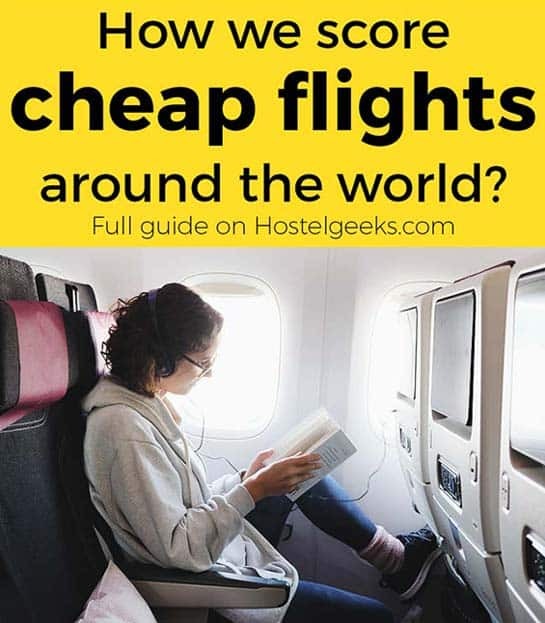 Update April, 2019: How to find flight deals to Chiang Mai, Thailand? Still looking for cheap flights to Chiang Mai, Thailand? We LOVE Kiwi.com. You can search here with a so-called "radius search". It is incredible easy to find sweet flight deals to Chiang Mai, Thailand and area.